Leasing an aquarium can be a great option for businesses, offices, waiting rooms, nursing homes, child-care centres and hospitals, or for your own home. The benefits of leasing an aquarium are obvious – no installation hassles, no equipment hassles, no maintenance hassles – we do it all for you. There is something about the tranquillity of an aquarium in a waiting room or the workplace – especially in your reception area. 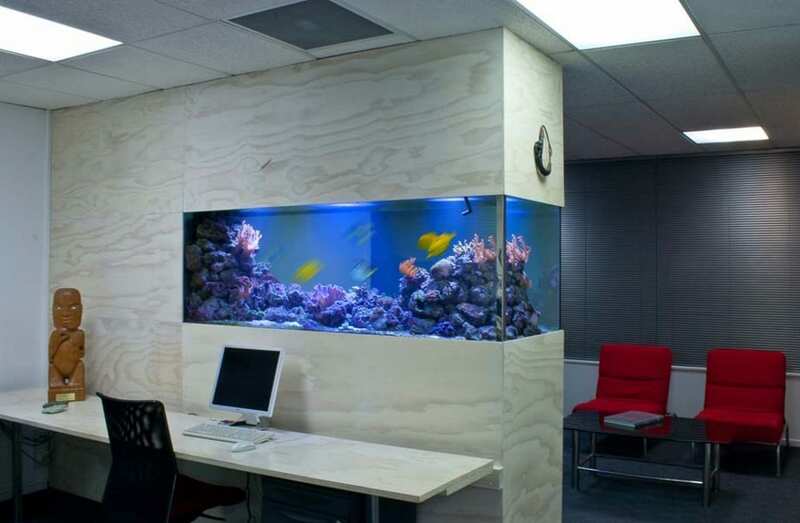 A well-kept aquarium can elevate your business in the eyes of your clients and staff. 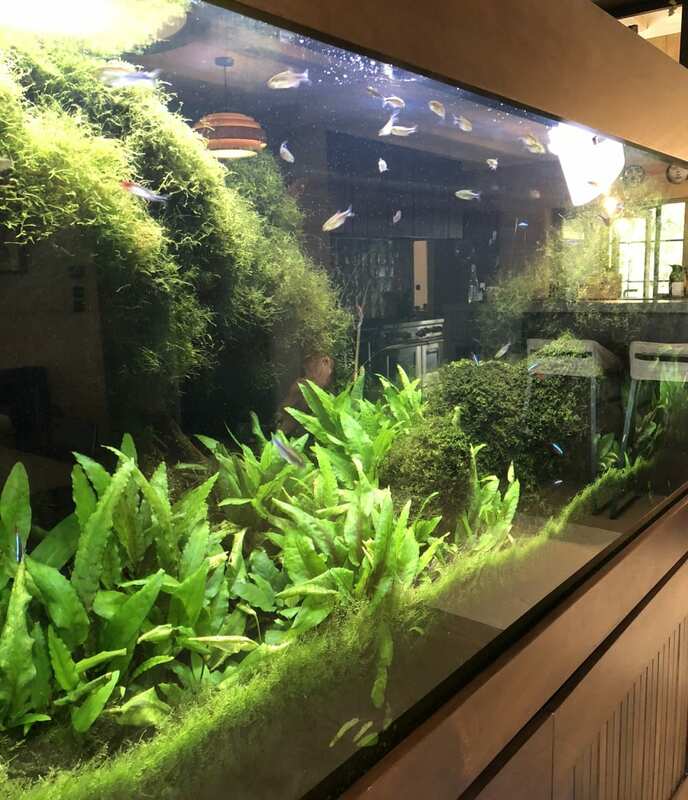 We lease freshwater aquariums to all sorts of offices and businesses throughout Greater Auckland. We have a large variety of sizes and styles so there is sure to be one to fit your business’s requirements. We will install your aquarium and fill it with the accessories and fish you want. If you are not sure what you want, we can help there too. Then, we will return regularly to service and maintain your rental fish tank so it looks great every day. 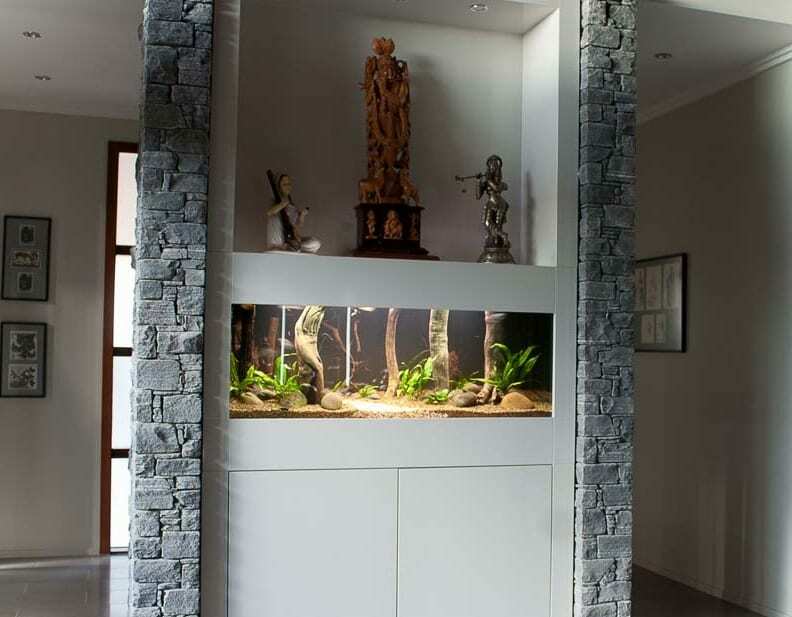 Many people would like to have an aquarium in their home – they look great and have been proven to help reduce stress. What stops many people is the cost and time and expertise required to keep the fish tank looking great. That is why renting an aquarium for your home is a great way to go. You receive all the benefits of a home aquarium with none of the maintenance issues. 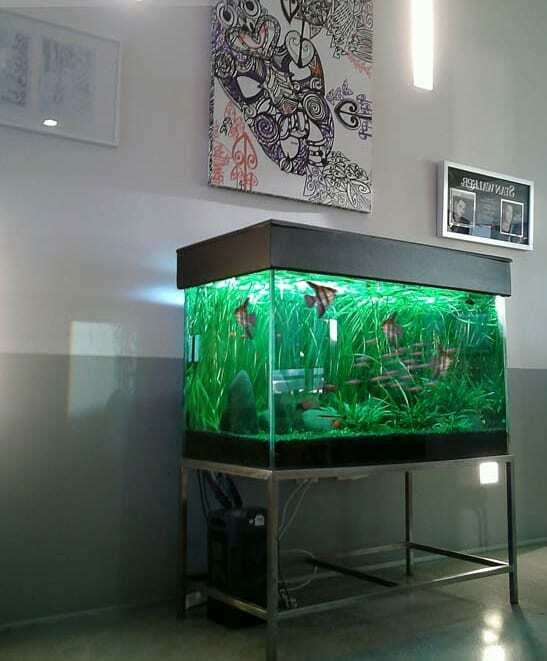 We lease freshwater aquariums of all shapes and sizes to homes throughout the Greater Auckland area. And, once installed, we will come back regularly to keep the rental aquarium looking great and your fish healthy. All fish tanks require regular care in order to stay looking clean and to remain healthy for the marine life that inhabits them. Some people are put off owning a fish tank because of the maintenance involved. That is why it makes sense to get RedFish BlueFish to take care of your aquarium servicing and maintenance. We can visit your place routinely for maintenance, or you can call us in for a one-off clean and service. Our aquarium maintenance includes: surface cleaning, ensuring all filters are working efficiently, monitoring nitrate levels and water quality, ensuring the pH is at the right level for your fish, and ensuring all aquarium equipment is functioning correctly. It makes sense to enjoy the wonder of nature without the hassle of cleaning – just call us and we will do it for you.